Each year, Basic and Intermediate-level HeartSync Trainings are offered at Gold Monarch. If you have attended a HeartSync Training with either Andrew Miller or Amy Black, and are interested in being mentored and growing in this ministry to hearts, we also want to provide you with an opportunity to continue to learn, grow and practice! Mentoring is offered to anyone who has completed at least a Basic HeartSync Training. The cost for mentoring at Gold Monarch is $35 per person. Mentoring will be a combination of additional training and practice. Your acceptance of this opportunity will require that you be committed to attend every scheduled meeting, which means that each group will be closed once it is formed. If you are interested in hosting a mentoring group in your area, our HeartSync Mentor, Linda Walker, will come to you! To host a mentoring group in another location, we require that you pay for Linda’s travel expenses, housing and meals during the course of the group. We do ask that you give Linda a love offering to honor her time and effort. 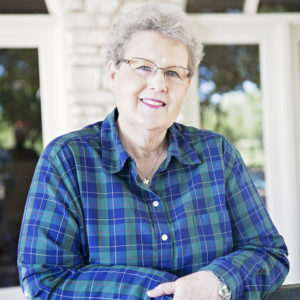 Linda is a graduate of Hardin-Simmons University with a teaching certification. She taught in Abilene ISD before serving in several non-profit organizations. She has worn many hats, including trainer, coach, administrator and principal of a Christian school. Linda also worked for a local CPA firms for three years. Today, Linda is involved in volunteer work, which includes her position of HeartSync Pastor of Fountaingate Fellowship and bookkeeper at Gold Monarch. Linda was drawn to HeartSync due to its gentleness and effectiveness even since it was introduced to her by Amy Black in 2011. Her passion to see people set free from the pain of past trauma has kept her involved with Gold Monarch and every HeartSync Training they have conducted. Now she seeks to empower others to minister through HeartSync by leading Gold Monarch’s mentoring groups for those who have attended Basic HeartSync Training. To join or host a Mentoring Group, email Linda Walker at Walkerlinda809@gmail.com.